Lice are a type of insect that we often associate with animals. But there are different types of lice, some of which can infest humans. These lice can be very specific for the area of the body that it will infest. Most of us have heard of head lice infestation, a fairly common problem among young schoolchildren. But there are also different types of lice that will infest the body and even the groin region specifically. Lice infestation can be treated and prevented. It is not a disease as such because the lice do not live on or in the body. It feeds on human blood several times in a day and while its saliva can irritate the skin, it rarely leads to any complications. All types of lice that feed on humans have some common characteristics, particularly in their body structure, feeding habits and life cycle. However, specific lice have a predilection for certain areas of the body. We look at how body lice and head lice infestation can be eradicated although many of these measures will also apply to pubic lice. The only significant factor in pubic lice infestation as opposed to lice elsewhere on the human body is that it is mainly transmitted through sexual contact. Head and body lice eradication does not need oral medication (tablets and capsules). It can be effectively treated with creams, lotions, shampoos and other topical (surface) applications. Remember that lice do not live in the body, not even in the skin. It feeds on the skin but after feeding returns to the clothing or climbs back onto the hair where it resides. Eradication does not require killing the lice or disrupting its reproductive cycle in every instance. If its feeding habits can be significantly disturbed, it will have to abandon the body or head for a more suitable environment. Here are some tips on how to eradicate body lice and head lice even without drugs. However, it should be remembered that modern anti-lice formulations are very effective and should be used for a faster and more definitive solution to eradicating lice infestation. It is not necessarily the first step one would take in controlling a head lice infestation but cutting your hair very short or shaving your head can help. 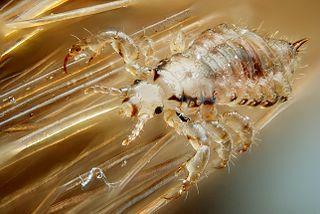 The lice feed on the skin (scalp) but cling to the hair where it technically resides. Shaving the head can therefore be helpful in disrupting the natural habitat of head lice. However, the psychological aspect of shaving the head bald also has to be considered especially for children who may fall victim to ridicule among other children of their age. Nevertheless, total hair removal for a few weeks can eradicate head lice and prevent a recurrence of the infestation if a person is in close contact with other people with head lice. Sharing of hairbrushes and combs should be avoided at all costs if a person has head lice. The transfer of lice eggs and the lice itself is made significantly more easy by sharing hairbrushes and combs. Children need to be taught that sharing these items with friends or classmates must be avoided at all costs. Similarly if one child in the home has head lice, separate hairbrushes and combs need to be kept. It is also advisable to immerse hairbrushes and combs in hot water to clean it of any nits and destroy any lice that may adhere to the brush or comb. This can be an effective means of preventing a recurrence of the infestation. Although the lice need to feed off humans and therefore tends to live on hair or in clothing, it can also be found within the environment of a person with a lice infestation. The lice may fall off the head or body and take the opportunity to return onto a person or get onto others when the opportunity arises. The lice may be found on the floor, couches and bed. Vacuuming regularly is one way of getting rid of any lice that may be within the home environment. In addition, bed linen should be regularly changed and thoroughly cleaned in hot water as discussed below. The mattress can also be vacuumed once all the bed linen is removed. The sharing of personal items like clothing and towels should also be discouraged for head lice but more so for body lice. Even items that are not worn daily like the occasional sweater or coat can harbor nits for periods of time. The sharing of hats and scarves should also be avoided. 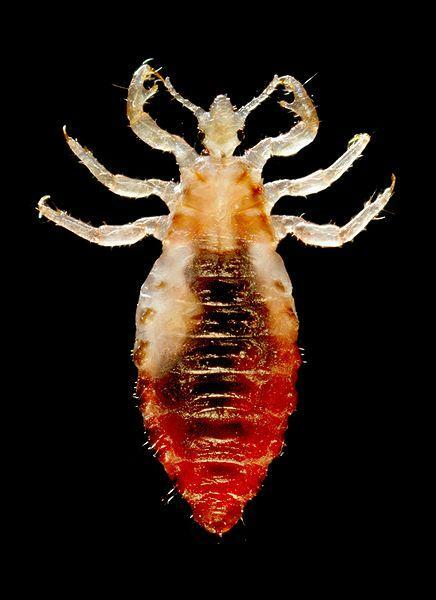 Body lice live in the clothing and only travel to the skin to feed, unlike with head lice and pubic lice that cling to the hair on the respective regions. It is also possible for the lice to spread from one item of clothing to another even while it is not being worn. A person with body lice should isolate their clothing and clean it as discussed below so as not to spread body lice to other close contacts as well as to prevent a recurrence. Lice tend to live in the seams of clothing and can also be found on bed linen. It is therefore important to practice good hygiene and take extra measures that may not always be necessary if lice infestation was not present. Clothing and bed linen need to be washed thoroughly in very hot water with soap or detergent. The clothing and bed linen should also be put in an electric dryer and dried under very high heat. This will not only destroy the lice but also the eggs. Sunlight is helpful but will not achieve the same temperatures as a commercial dryer. Clothing should not be deposited in a clothes hamper which may contain the clothing of others in the home. Lice can be easily spread in this way. One effective way of destroying the lice on clothing without using medicated products or harsh chemicals is to seal the clothing it in plastic bags. This should be done over a period of up to 5 days. The bags have to be airtight to ensure that the lice do not escape. Sealing the clothes in this way will rob the lice of nutrition, as it needs to feed on humans. Just a few days would be sufficient to starve the lice. These days there are specialized plastic bags that allow for items to be vacuum sealed. These bags are even more effective as it removes the oxygen supply for the lice as well as robbing it of food. The newly hatched lice will also die due to the lack of nutrition.